The joy of a power nap – little compares to its sheer wonderfulness. We have seen designs in the past of nap capsules in the public. Here is another one – a sleeping capsule at the work place. 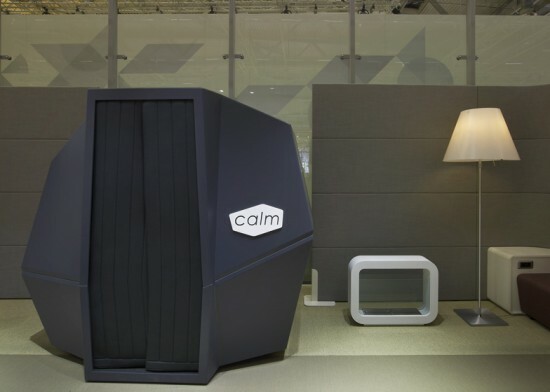 Called Calm Space, the design was created for office furniture Haworth by French designer Marie-Virginie Berbet. 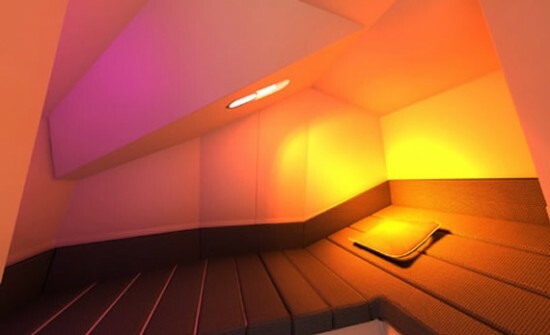 The booth is designed in such a way that it encourages a power nap not exceeding 30 minutes, as more than that means falling into deep sleep. It comes with a single mattress and preset lighting cycles and soundtracks. 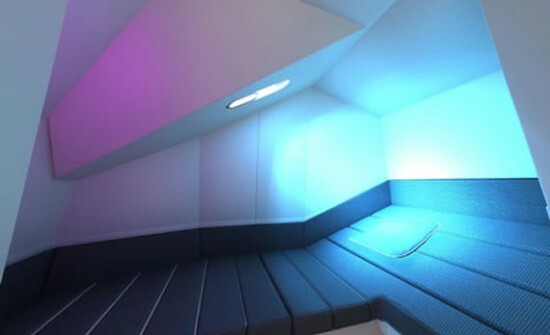 It is also designed in a way the individual will fall asleep and wake up smoothly. This design was first tested by Hayworth in 2011 and the company now hopes to extend this ‘innovative approach’ to other office space. This is ideal for offices that mandate long working hours for its employees.